Why Must Kim Hang Ah Suffered Miscarriage? Why must Kim Hang Ah (Ha Ji Won) in “The King 2 Hearts” suffered from miscarriage? In MBC Wednesday and Thursday drama “The King 2 Hearts“, the female high ranking officer Kim Hang Ah who is representing North Korea miscarried the child of South Korean prince Lee Jae Ha. King’s father Lee Jae Kang was murdered because of instigation of Club M’s Kim Bong Goo, and even Lee Jae Shin also become paralysis in lower body, within these, the third lifeblood of the Royal Family has also been sacrificed tragically. Why must Kim Hang Ah miscarried the child of Lee Jae Ha? 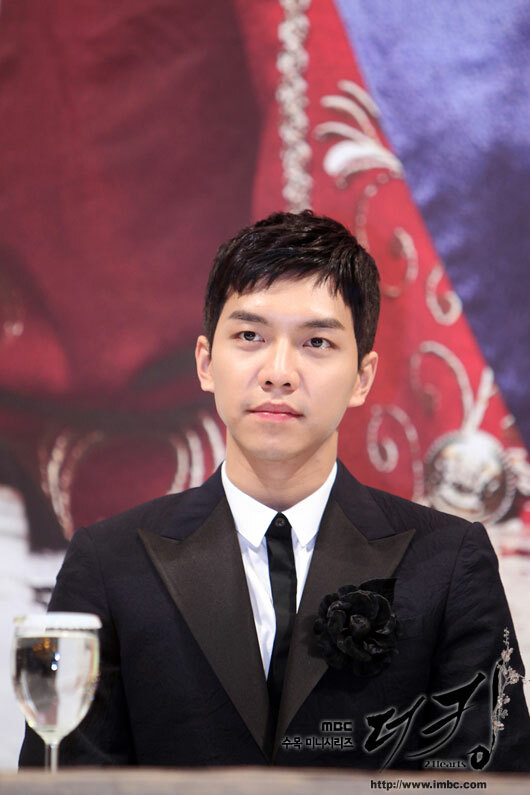 The answer lies in the title of the drama, “The King 2 Hearts”. Was the words of director Lee Jae Kyun a hint? The “hearts” in “The King 2 Hearts” been portrayed as Kim Hang Ah pregnant with a “child”. However, the notable point here is that the first reconciliation of North and South Korea is very sudden. During the tragic death of the couple of King’s father kings, Hang Ah constantly consoled Jae Ha, and during the mourning period, the twos spent a night together unplanned. In the tragedy that came without forewarning, the “heart” that was born without hint, growing without notice. Later in “The King 2 Hearts”, the newly born “heart”, the child of two persons died in misery. The hope that supposed to be born in blessings, disappeared, and North and South Korea are still in extreme confrontation, where North and South Korean nationals slandering each other, and spreading baseless news. In fact, it’s just like what’s been told, the reality of two Koreas is very bitter. “The King 2 Hearts” used to reconcile for the first time without any preparation, which ended in miserable failure. In future, it’s a long way to go for South and North Korea, when looking at the modern Korean history, it’s also like this. Although in the past there had been tries in North-South reconciliation, but all the hiatus, just like the disappearing “heart” in “The King 2 Hearts”, encountering setback. Because “The King 2 Hearts” labeled itself as black humor, so the miscarriage of Kim Hang Ah is only required under this setting. Afterwards, “The King 2 Hearts” want to show the path of reconciliation for North and South Korea, which of course is the perilous road full with thorns of twists and turns. Jae Ha cannot understands the heart of Hang Ah, Hang Ah also cannot understand the heart of Jae Ha as expected. In addition, military production holding company Club M’s Kim Bong Goo who keeps preventing them to be together, constantly eying them covetously in order to break the reconciliation mode. However, “The King 2 Hearts” is like a drama series made into a “fantasia”, and is showing other hopes. South Korean King Lee Jae Ha risks the danger of death in order to get Hang Ah, heading into North Korea. In order to bring back Hang Ah, Jae Ha begins to struggle alone, the hearts of two persons are entangled in the complex political reality, and enhance the tension of the drama. Will “The King 2 Hearts”, which is mocking vividly the reality ironically, portray a new “heart” for Jae Ha and Hang Ah who represent South Korea and North Korea? Or, the attempt to reconcile will end in tragedy?